Let's step aside and throw on the Pop Star socks. A far from subtle look that people will notice when you sit or walk. These socks will have you expressing confidence by the minute and should always be in consideration when wearing navy blue colored attire. The black stripe variation detail makes this sock "POP!" 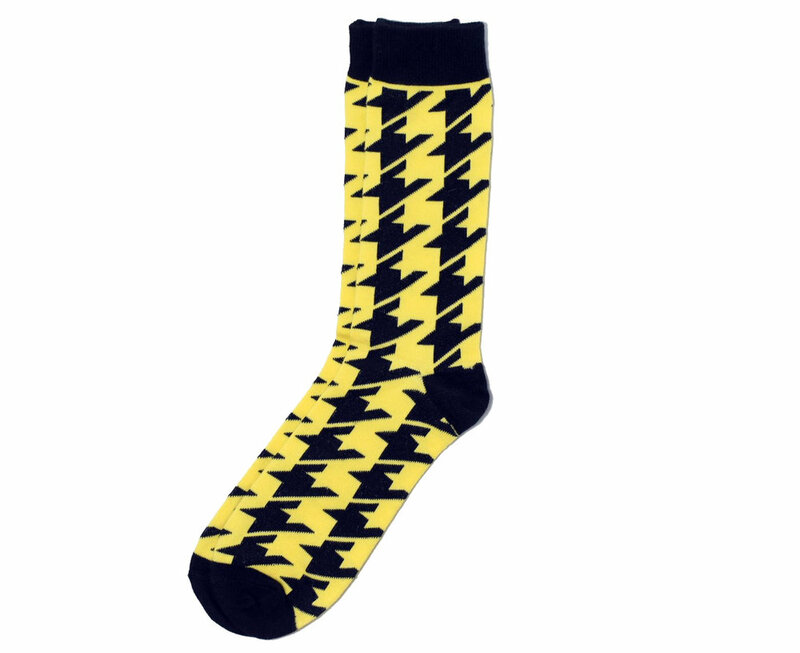 Black and yellow and everything Pop Star, we got the right socks for you.